Eugene Lavretsky is a Boeing Senior Technical Fellow, working at the Boeing Research & Technology in Huntington Beach, CA. During his career at Boeing, Dr. Lavretsky has developed flight control methods, system identification tools, and flight simulation technologies for transport aircraft, advanced unmanned aerial platforms, and weapon systems. Highlights include the MD-11 aircraft, NASA F/A-18 Autonomous Formation Flight and High Speed Civil Transport aircraft, JDAM guided munitions, X-45 and Phantom Ray autonomous aircraft, High Altitude Long Endurance (HALE) hydrogenpowered aircraft, and VULTURE solar-powered unmanned aerial vehicle. His research interests include robust and adaptive control, system identification and flight dynamics. He has written over 100 technical articles, and has taught graduate control courses at the California Long Beach State University, Claremont Graduate University, California Institute of Technology, University of Missouri Science and Technology, and at the University of Southern California. 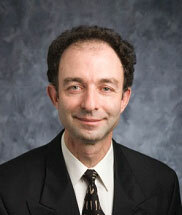 Dr. Lavretsky is an Associate Fellow of AIAA and a Senior Member of IEEE. He is the recipient of the AIAA Mechanics and Control of Flight Award (2009) and the IEEE Control System Magazine Outstanding Paper Award (2011).